We have been speculating about the “real-world” range of the upcoming all-electric (BEV) version of the Hyundai Ioniq for a while now, especially since the company confirmed it will have a 28 kWh battery pack, but now Hyundai confirmed that it expects it will achieve an EPA-rated range of 110 miles. Hyundai officially debuted the IONIQ platform at Geneva Motor Show this week and its 3 versions, which are now aptly named IONIQ Hybrid (HEV), IONIQ Plug-in (PHEV) and IONIQ Electric (BEV). CEO of Hyundai Motor America Dave Zuchowski confirmed that the company will launch all three electric versions of the IONIQ in the US during the third quarter. The vehicle will be available in all-electric (BEV), plug-in hybrid (PHEV) and conventional hybrid without a plug (HEV). Hyundai revealed most of the details of the HEV version, but the company is mute about the BEV and PHEV versions. Hyundai released new renderings of its upcoming IONIQ electric car, which will be offered with 3 electric powertrain options. The vehicle will be available in all-electric (BEV), plug-in hybrid (PHEV) and conventional hybrid without a plug (HEV). 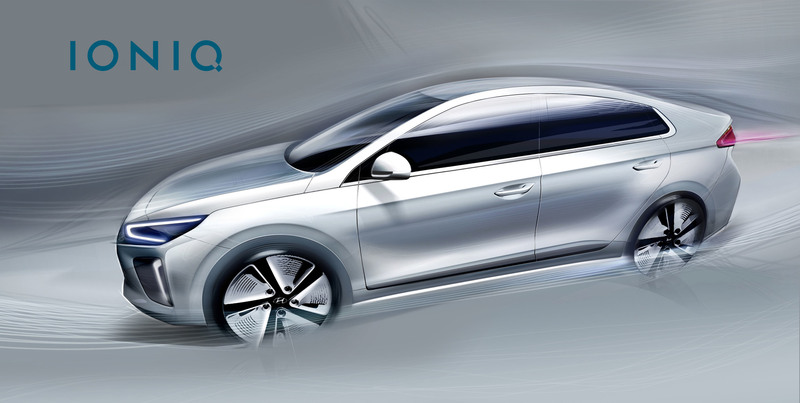 Earlier this month, Hyundai announced that it will unveil a new car with 3 electric powertrain options called IONIQ. The vehicle will be available in all-electric (BEV), plug-in hybrid (PHEV) and conventional hybrid without a plug (HEV). 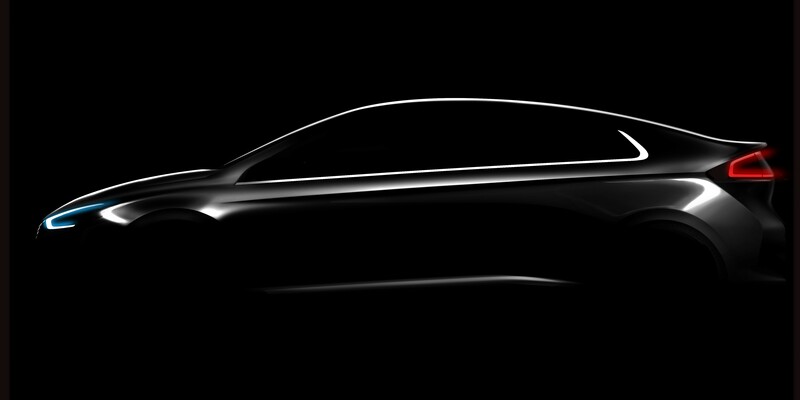 Hyundai announced today that it will unveil a new car with 3 electric powertrain options called IONIQ. The vehicle will be available in all-electric (BEV), plug-in hybrid (PHEV) and conventional hybrid without a plug (HEV).